KATHMANDU, Feb 25: The Federation of Nepalese Chambers of Commerce and Industry (FNCCI) is organizing Nepal International Trade Fair in Kathmandu from March 28. KATHMANDU, Feb 16: Prime Minister KP Sharma Oli has urged the banks not to impose interest rate arbitrarily. PM Oli said this during a delegation of the FNCCI at his residence, Baluwatar, today. KATHMANDU, Feb 13: A memorandum of understanding (MoU) was signed between the provincial government of Province 1 and the Federation of Nepalese Chambers of Commerce and Industry (FNCCI) in Biratnagar on Tuesday. 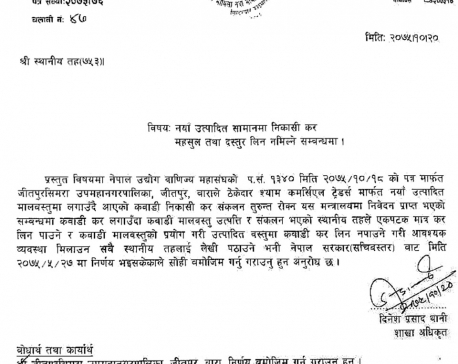 BIRGUNJ, Feb 4: Ministry of Federal Affairs and General Administration has issued a circular to all 753 local units across the country, instructing them against levying taxes on production and exports. KATHMANDU, Jan 30: Federation of Nepalese Chambers of Commerce and Industry (FNCCI) has made an appeal to the government and other concerned agencies to lower rising interest rates on bank loans. DHADING, Jan 15: Rudra Bahadur Khatry has been elected the chair of Federation of Nepalese Chamber of Commerce and Industry (FNCCI), Dhading Chapter for next tenure of three years. KATHMANDU, Jan 3: Three professional bodies of the private sector have started deliberations to join hands on their common issues and press the government in unison to address their concerns. KATHMANDU, Dec 12: Concerned by soaring interest rates on bank loans, Federation of Nepalese Chambers of Commerce and Industry (FNCCI) has asked Nepal Rastra Bank (NRB) Governor Chiranjibi Nepal to address the effects of soaring interest rates on deposits on lending rates. KATHMANDU, Nov 21: The Federation of Nepalese Chambers of Commerce and Industry (FNCCI) has set up Tax Consultation Center at its premise in Teku in order to resolve problems faced by the business community on tax matters. KATHMANDU, June 4: Chandra Prasad Dhakal, vice president of the Federation of Nepalese Chambers of Commerce and Industry (FNCCI), has urged foreign investors to invest in Nepal, stating that favorable business environment has been created in the country with for formation of a stable government. 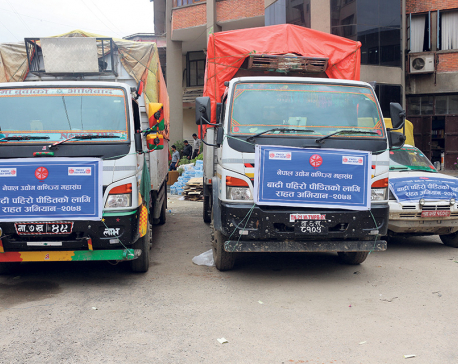 KATHMANDU, April 20: The Federation of Nepalese Chambers of Commerce and Industry (FNCCI) has extended its support to the government's move to disband transport cartels across the country. KATHMANDU, April 19: Federation of Nepalese Chambers of Commerce and Industries (FNCCI) has backed the government decision not to renew any transportation committees, which are registered at district administration offices (DAOs). 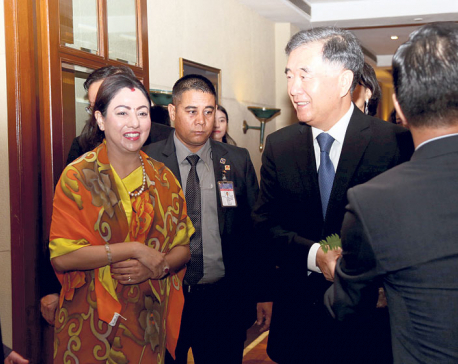 KATHMANDU, March 20: A Chinese delegation led by Shu Ya, founder of One Belt One Road (OBOR) International Trade and Investment Platform, met with Bhawani Rana, president of the Federation of Nepalese Chambers of Commerce and Industry (FNCCI), on Monday. KATHMANDU, Feb 25: The private sector has urged Prime Minister KP Sharma Oli to clarify on the tax ambiguities particularly in local levels and provinces at the earliest. 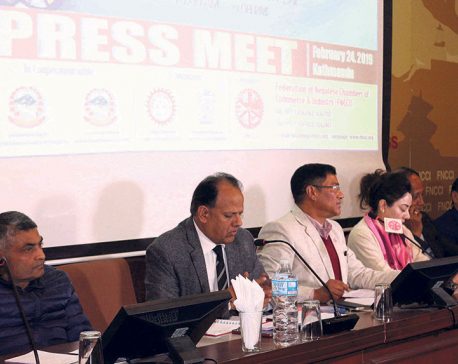 KATHMANDU, Feb 19: Federation of Nepalese Chamber of Commerce and Industry (FNCCI) has announced to hold interactions in all provinces to discuss economic agendas. KATHMANDU, Jan 22: Federation of Nepalese Chambers of Commerce and Industries (FNCCI) has signed a sponsorship deal of NRs 10.2 million with Nepal Volleyball Association (NVA) to organize FNCCI cup volleyball tournament. KATHMANDU, September 6: The Federation of Nepalese Chambers of Commerce and Industry (FNCCI) has pledged to comply with the election code of conduct to make the elections free, fair and economical. 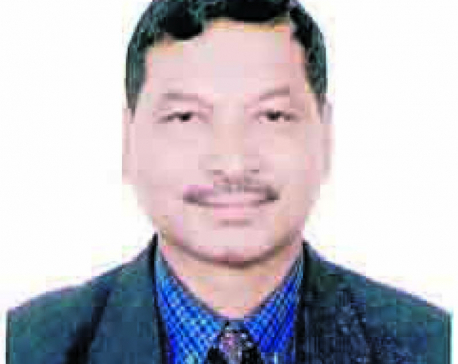 KATHMANDU, August 29: Industrialist Kishor Pradhan, who had lost the election for the post of senior vice-president of Federation of Nepalese Chamber of Commerce and Industries (FNCCI) in April, has filed candidacy for the post of vice-president from the category of district and municipal chambers of the FNCCI. KATHMANDU, August 29: The Federation of Nepalese Chambers of Commerce and Industries (FNCCI) has distributed a family relief package to 1020 flood-affected families in eight districts. 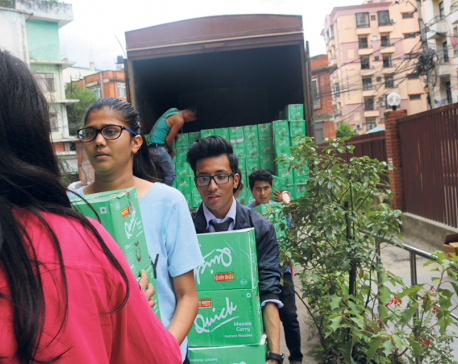 KATHMANDU, August 27: Federation of Nepalese Chambers of commerce and Industry (FNCCI) has collected relief supply that will be enough for a month for flood victims. 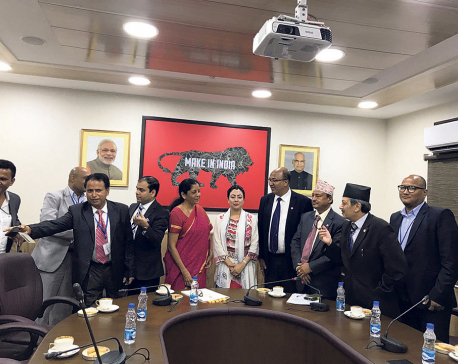 KATHMANDU, August 26: A delegation of Nepali business community has requested India to removing non-tariff barriers imposed on Nepali exports to India. 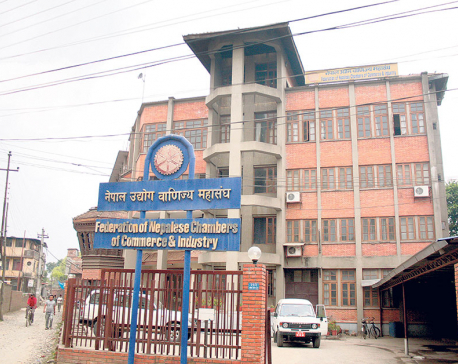 KATHMANDU, Aug 16: The Federation of Nepalese Chambers of Commerce and Industry (FNCCI) has urged the Chinese government to provide duty-free access to Nepali exportable goods. KATHMANDU, August 13: The Federation of Nepalese Chambers of Commerce and Industry (FNCCI) and the Non-Resident Nepali Association (NRNA) have set up separate funds to provide relief to the flood and landslide victims in different districts. KATHMANDU, July 23: In an effort to attract Indian investment in Nepal, Federation of Nepalese Chambers of Commerce and Industry (FNCCI) is planning to hold Nepal-India investment summit in October this year. KATHMANDU, July 17: Federation of Nepalese Chamber of Commerce and Industry (FNCCI) has signed a Memorandum of Understanding (MoU) with Ministry of Industry (MoI) for utilizing remittances in rural parts of the country. KATHMANDU, July 11: Federation of Nepalese Chamber of Commerce and Industry (FNCCI) has welcomed the monetary policy presented by Nepal Rastra Bank (NRB) for Fiscal Year 2017/18 as very positive for the private sector. 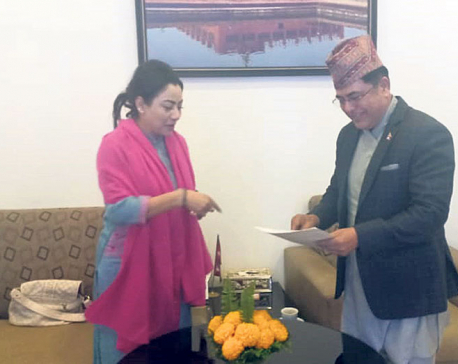 KATHMANDU, June 27: A delegation of Federation of Nepal Chamber of Commerce and Industry (FNCCI), led by its President Bhawani Rana, paid a courtesy call on newly appointed Minister for Finance, Gyandendra Bahadur Karki, on Monday. 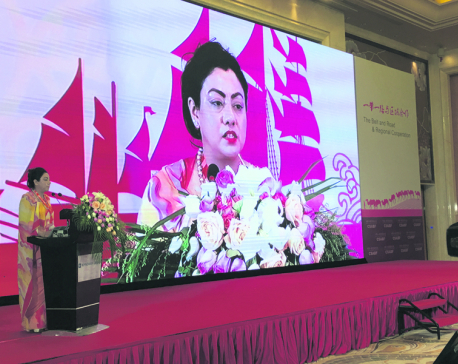 KATHMANDU, June 14: President of the Federation of Nepalese Chamber of Commerce and Industry (FNCCI), Bhawani Rana has said that the One Belt, One Road (OBOR) initiative of China can become a model project of the 21st century. 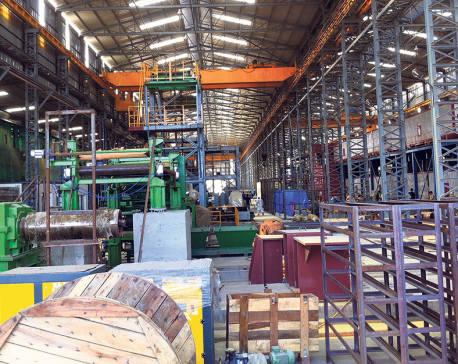 KATHMANDU June 13 : The Federation of Nepalese Chambers of Commerce and Industry (FNCCI) has demanded immediate release of Industrialist Raj Kumar Shrestha who has gone out contact since Friday evening. Shrestha is the owner of Tulsipur-based Butwal Bastralaya and a former vice president of Tulsipur Chamber of Commerce and Industries. 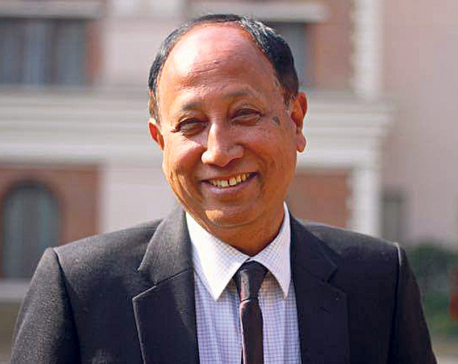 KATHMANDU, May 24: The Federation of Nepalese Chambers of Commerce and Industry (FNCCI) has appointed former government secretary Suresh Man Shrestha as its director general (DG). KATHMANDU, May 16: A right to information (RTI) application has been registered at the National Information Commission (NIC), claiming that the Federation of Nepalese Chambers of Commerce and Industry (FNCCI) failed to provide any information about selection procession and criteria of the ‘trendsetter’ award conferred on different individuals last month. 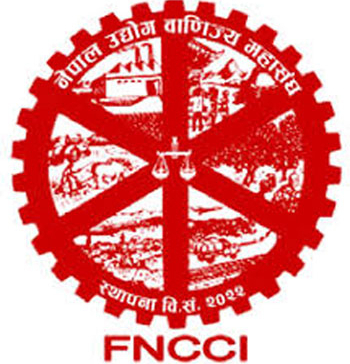 KATHMANDU, April 30: Federation of Nepalese Chamber of Commerce and Industry (FNCCI) and Confederation of Nepalese Industries (CNI) have extended best wishes to all laborers on the occasion of International Workers' Day. 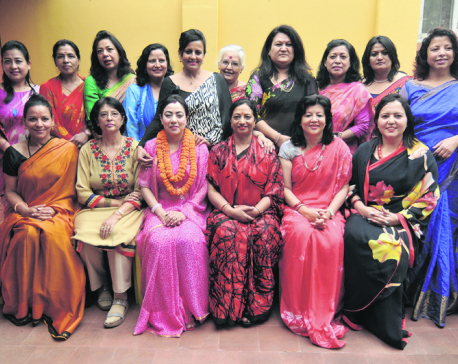 KATHMANDU, April 21: Federation of Women Entrepreneurs Association of Nepal (FWEAN) felicitated newly-elected president of Federation of Nepalese Chambers of Commerce and Industry (FNCCI) Bhawani Rana at an event held at Achar Ghar in Jhamsikhel on Thursday. KATHMANDU, April 12: Advocate Om Prakash Bista on Wednesday filed an application at the Federation of Nepalese Chambers of Commerce (FNCCI) Secretariat, seeking information about the selection criteria of 'trendsetters' award that the federation conferred on different individuals on Monday. 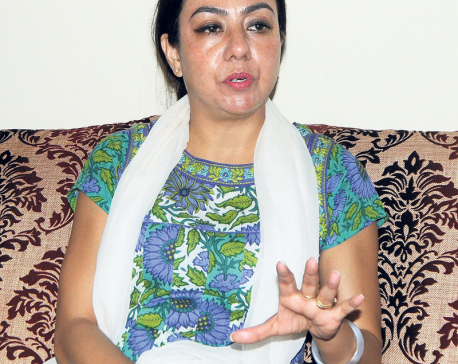 KATHMANDU, April 12: Bhawani Rana is all set to create a history assuming the office as the first woman President of the Federation of Nepalese Chamber of Commerce and Industry (FNCCI) on Wednesday. KATHMANDU, April 11: The Federation of Nepalese Chambers of Commerce and Industry (FNCCI) is holding election for the new executive committee in Kathmandu on Monday. 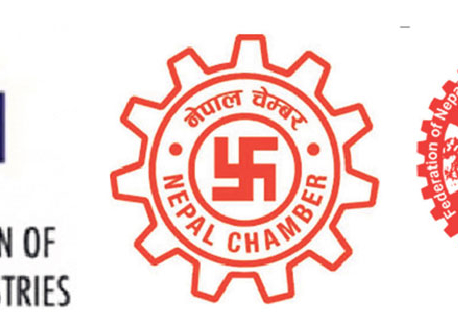 KATHMANDU, April 10: The 51st Annual General Meeting (AGM) of Federation of Nepalese Chambers of Commerce and Industry (FNCCI) is scheduled to kick off on Monday. KATHMANDU, April 6: Kishor Pradhan, a candidate for the post of senior vice-president in the upcoming election of the Federation of Nepalese Chambers of Commerce and Industry (FNCCI), has accused the incumbent president and senior vice-president of violating the election code of conduct. 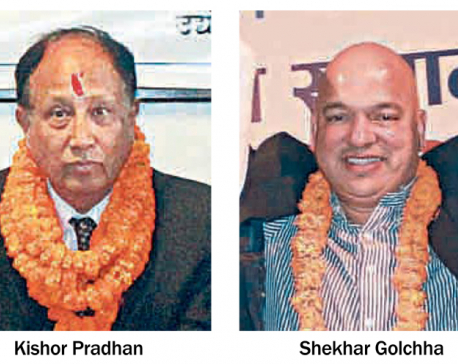 KATHMANDU, April 4: Shekhar Golchha and Kishor Pradhan will contest for the post of senior vice president of the Federation of Nepalese Chambers of Commerce and Industry (FNCCI) in the upcoming elections. According to a new amendment made in 2016, whoever becomes vice president from this election will automatically become the president after three years. KATHMANDU, March 28: President of the Federation of Nepalese Chamber of Commerce and Industry (FNCCI), Pashupati Murarka, has said that he would lobby with the concerned government agencies to make postal service exempt from VAT. TRISHULI, March 13: The Federation of Nepalese Chambers of Commerce and Industry Nuwakot chapter today has submitted a memorandum to Minister for Urban Development Arjun Narshing KC to set up a special economic zone (SEZ) in the district. 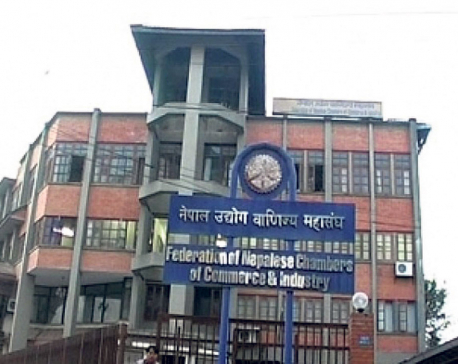 KATHMANDU, Feb 7: The Federation of Nepalese Chamber of Commerce and Industries (FNCCI) has objected to a proposal to raise electricity tariff hike, saying that it will badly affect the country's ailing industrial sector. 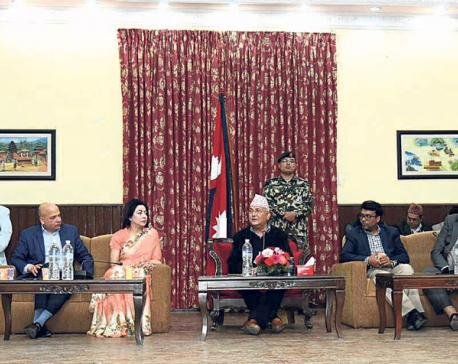 KATHMANDU, Nov 14: A delegation of the Federation of Nepalese Chambers of Commerce and Industry (FNCCI) on Monday met with Prime Minister Pushpa Kamal Dahal and urged the latter to take needful initiative for resolving the problem of exchange of demonetized Indian banknotes. 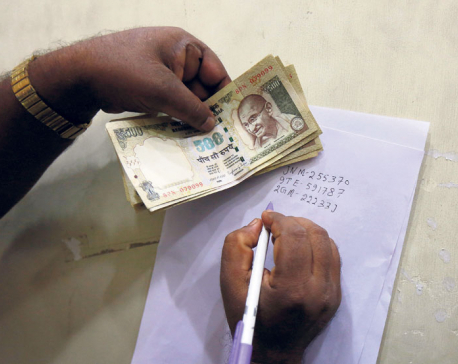 KATHMANDU, Nov 14: The Federation of Nepalese Chambers of Commerce and Industry (FNCCI) has urged the government to take needful arrangement for managing demonetized 1,000 and 500 Indian rupee bills in circulation in Nepal. KATHMAMNDU, Oct 20: Senior Vice President Bhawani Rana is set to become the next President of the Federation of the Nepalese Chambers of Commerce and Industry (FNCCI). 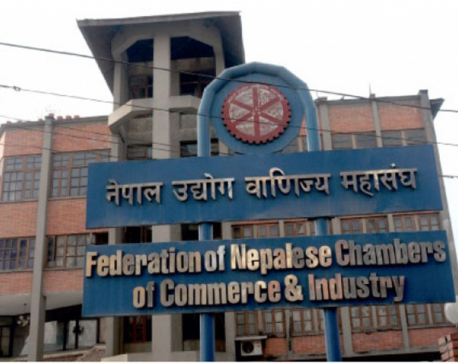 KATHMANDU, Oct 17: The Federation of Nepalese Chambers of Commerce and Industry (FNCCI) is holding its Special General Meeting on Thursday to amend its statute. 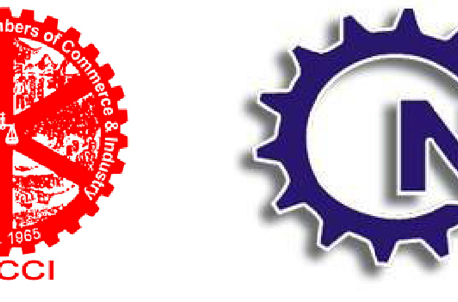 KATHMANDU, Oct 3: Country's leading private sector organization has welcomed the amendment to the Industrial Enterprises Act 1992. KATHMANDU, Aug 16: President of the Federation of Nepalese Chambers of Commerce and Industry (FNCCI), Pashupati Murarka, have said trade disputes in the SAARC region can be more effectively settled through SAARC Arbitration Council (Sarco).